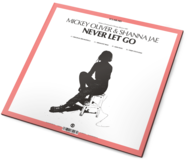 Mickey Oliver ft Shanna Jae - Never Let Go. Vinyl 12. LuckyMe. LuckyMe are proud to announce Eclair Fifi’s debut record - ‘Never Let Go’ by Mickey Oliver & Shanna Jae. The first in a series of Chicago House and Latin Freestyle Drumapella, Percapella & Synthapella reissues & remixes. Mickey Oliver is the pioneering Chicago House producer, DJ and founding member of the Hot Mix 5 from Chicago’s 102.7 WBMX. 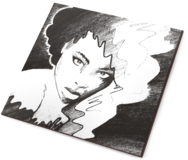 Shanna Jae is the preeminent vocalist renowned for both her solo record produced by Mickey Oliver and as one half (as Paris Grey) of Inner City with Kevin Saunderson.